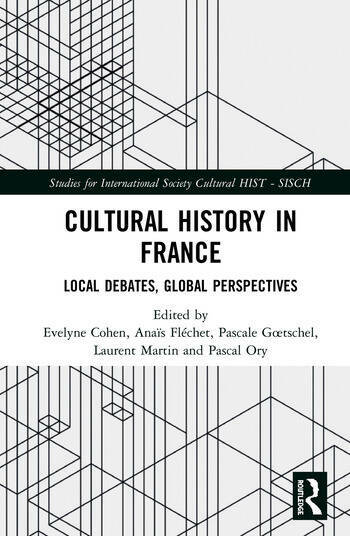 This volume, which gathers contributions presented at the annual conferences of l'Association pour le développement de l'histoire culturelle (ADHC), questions the subjects and boundaries of cultural history in France – with regard to neighboring approaches such as cultural studies, media studies, and gender studies – to elaborate a "social history of representations." Historians, philosophers and sociologists address a large variety of topics and methodological proposals. Definitions, objects and actors, memories and cultural transfers: this book depicts the major questions that underlie the historical debate at the beginning of the 21st century. 6. The History of Knowledge: Social or Cultural History? 20. "Popular Culture", "Mass Culture": A Definition or a Prerequisite? 28: Can We Write a European History of Culture in the Contemporary Period? 30. The Paris-London Line of Cultural Studies: A One-Way Track? 32. Is There History Under Colonial Culture? 33. Colonial History Today: A Cultural History? 36. Cultural History Facing the "Transnational Turn"
Evelyne Cohen is Professor of Contemporary Cultural History at École nationale supérieure des sciences de l’information et des bibliothèques (ENSSIB-Lyon University). Anaïs Fléchet is Associate Professor of History at Université de Versailles Saint-Quentin-en-Yvelines. Pascale Goetschel is Professor of Social and Political History of Culture at the University of Paris 1 Panthéon-Sorbonne. Laurent Martin is Professor of Contemporary History at the University of Paris 3 Sorbonne-Nouvelle. Pascal Ory is Professor Emeritus of History at Paris 1 Panthéon-Sorbonne University.